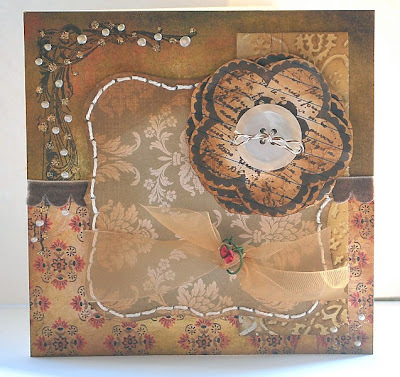 Thank you for all the beautiful cards that you made fo Tanya Leigh's shabby chic dare, It was fantastic to see all the flowers, lace and buttons! 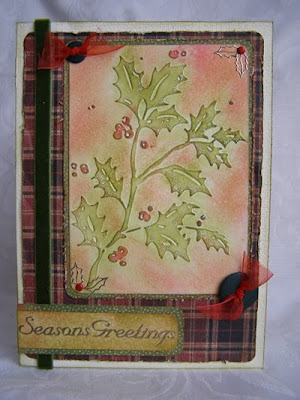 I would like you to use some sort of tartan on your cards, fabric, ribbon, paper, even a piece of an old tartan rug(!)etc. 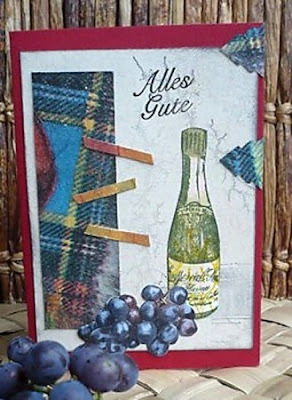 The design team (amongst a few little groans) have, as usual come up with amazing array of cards featuring tartan. Have a good week and I can't wait to see what you create. 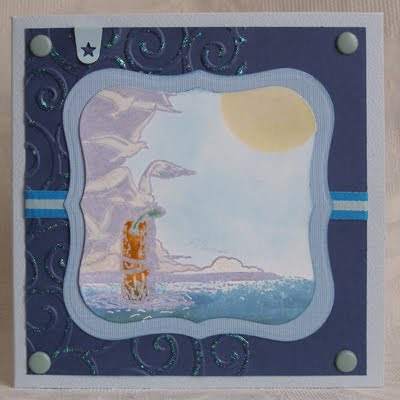 Thanks for all the awesome cards done for our team dare last week, Down by the Sea. 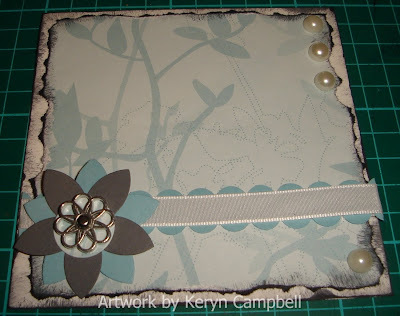 It was nice to do a summer card as here in New Zealand it's starting to get warmer now. 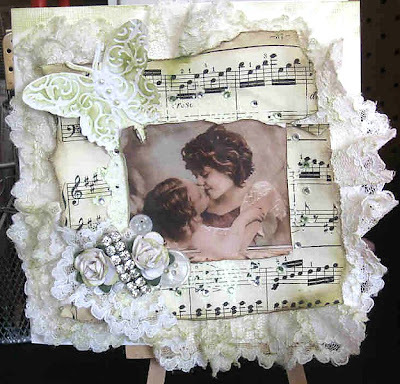 This week it's my turn to set a dare (Tanya Leigh) and I am into Shabby Chic at the moment so thought this would be a great dare. Look through your stash and found all those bits and pieces you can use or even ask your Nana or Grandma for some bits. 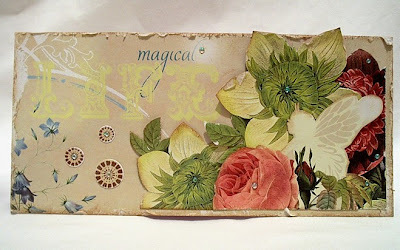 Old lace, buttons, bling, flowers etc and make a mess and see what you come up with. 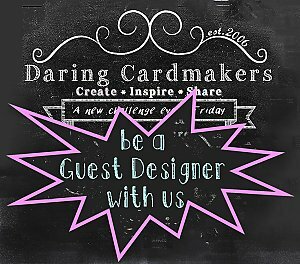 Check out what the design team have been up to below, we hope our cards will give you some inspiration to get started on your own. Please don't forget to come back and let us know where we can see you creations, we do love to see what you've been making. 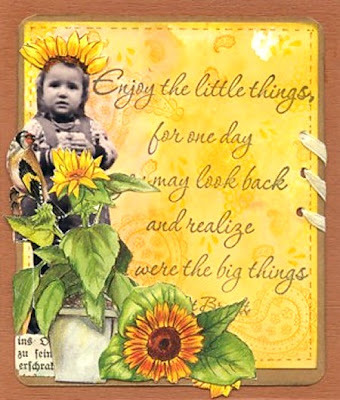 We were thrilled to see so many fabulous Sunflower cards for Rein's dare last week - it really was a beautiful bouquet - thank you for making the world a sunnier place by sharing them all. We're sure Rein will have been cheered up by them all. 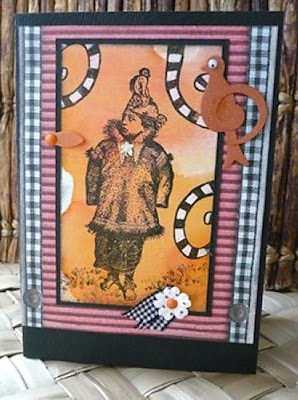 This week we have a team dare for you - this one is from our little list of reserve ideas for when things don't go according to plan - and the plan that went a bit awry this week was Jo still not being around to set this week's challenge - we've just heard that she's back on-line at last, phew! - that was a long absence, Jo, we missed you so much! 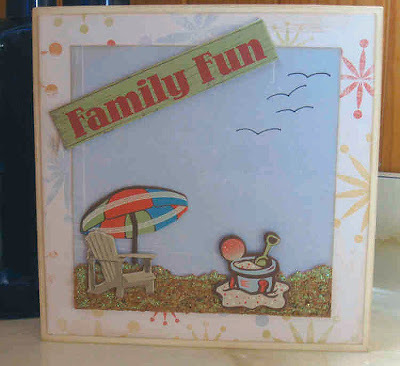 Anyway, there on the list was "Seaside" and we thought it would be perfect. Over on this side of the world we're coming to the end of the Summer, and on Keryn's side they'll soon be dusting off their buckets, spades and sun-hats. 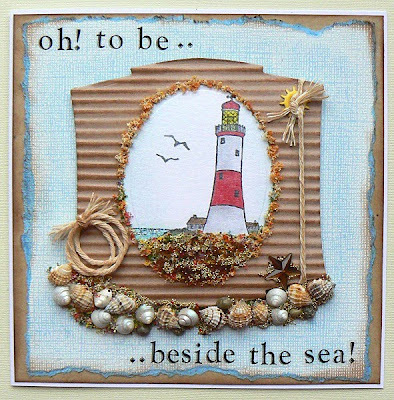 Of course we don't just enjoy being by the sea in the Summer, it doesn't matter what the season is, the seaside is a great place to be, so this week we'd love you to make cards with any sort of seaside theme. Before we announce this week's new dare, we'd first like to thank you all for sharing your fabulous "Inchies" with us. It was astonishing to see just how many ways there are to use those tiny squares on our cards - gave us all something to think about! 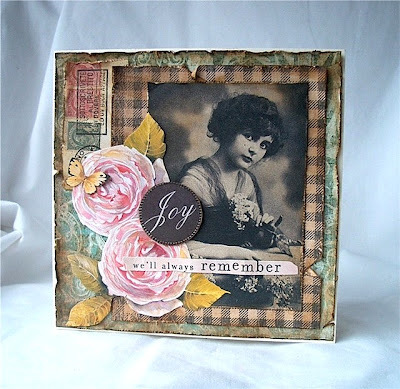 This week we'd like to introduce our newest Guest Designer, Lynda to you. 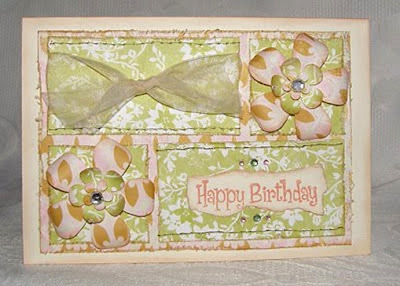 Lynda is a regular Darer and her cards are fantastic so we're thrilled that she's agreed to join us for a while and it made our day when she said: "DCM was the first challenge I ever entered and you all gave me the confidence to do a little more." 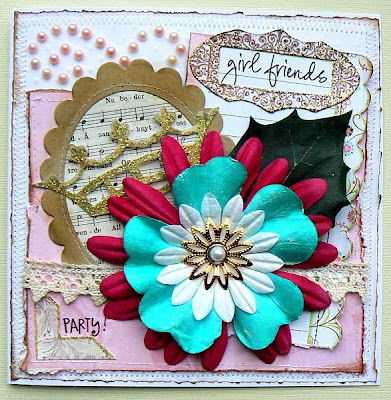 We're very happy to say that we still have Paula with us too - you can't have too much of a good thing and we're sure you're going to enjoy seeing more of her gorgeous cards on here. We love their happy, sunny appearance, somehow seeing them never fails to cheer, does it? 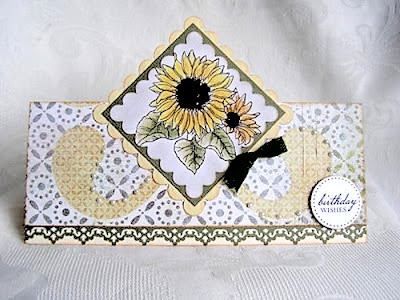 So we'd like to see lots and lots of glorious, cheerful sunflowers on your cards. Poor Rein has had a nasty fall and is very sore and bruised, so hopefully a great big bouquet of sunflowers will cheer her up and bring a smile back to her face. 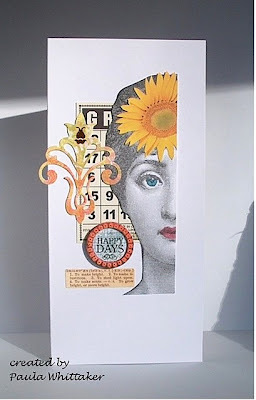 Here's what the design team have made this week to try and inspire you to feature sunflowers on your work this week Please join in, and once you've made your card, come back and let us know where we can see it.